Bold black and white stripes and contrasting colorblock trim instantly create a polished, preppy look that is perfect to wear for a boardwalk stroll. The Prep School Pretty Stripe Dress is made of a heavy knit fabric with a bit of stretch to it. It has a rounded neckline, banded waist, and a classic A-line cut. The black and white stripe print of this dress contrasts nicely with the brightly colored fabric at the waist and hemline. A hidden back zipper completes this dress. 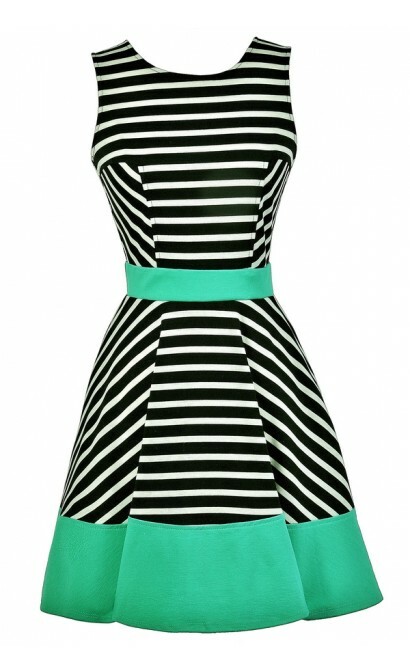 The Prep School Pretty Stripe Dress is a cute dress that looks nice paired with wedges or pumps. You can also dress it down with flat black sandals and an oversized bag. 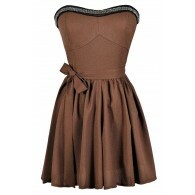 This a cute dress to have on hand to put on any time you want to look polished and put-together with minimal effort. Details: Made in USA. Unlined. Hidden back zipper. 80% polyester, 15% rayon, 5% spandex. Lining: 100% polyester. Hand wash cold or dry clean. Small measurements: Length from top of shoulder to hemline: 34". Bust: 34". 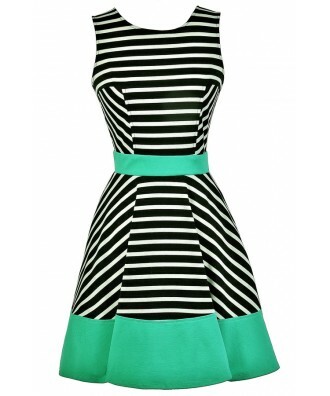 You have added Prep School Pretty Stripe Dress in Green into Wishlist. 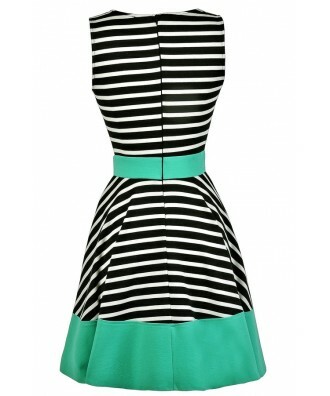 You have added Prep School Pretty Stripe Dress in Green for Stock Notification. 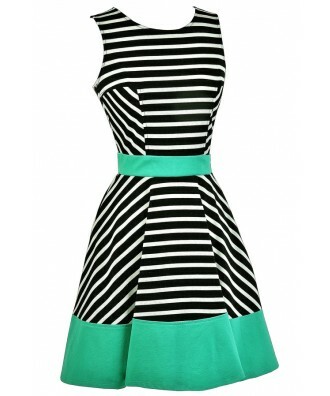 You have set Prep School Pretty Stripe Dress in Green as a loved product. You have removed Prep School Pretty Stripe Dress in Green as a loved product.